There are many benefits to eating boiled vegetables. The flavor is not good but if you know about their nutrition then you will know how much they care for your body and health. It is not healthy to eat fried food. In this case, you will get benefit from boiled or cooked food. To increase the body’s immunity you just boil water and add little salt mixed with green vegetables. It looks quite tasty. Let us know what are the benefits of boiled vegetables. Safe to eat: Boiled food is safe to eat. It does not have any kind of bacteria which can damage your body. Nutrients are retained: Nutrients does not destroy in boil food and gives tremendous benefit by eating them. Reduce the risk of disease: The risk of disease reduces by taking boiled vegetables. It also reduces the risk of heart attack and cancer. Increase the anti-oxidant: It is very beneficial to intake boiled vegetables to increase the amount of anti-oxidant. More advantage: Roasted vegetables do not give you benefit. You will get more benefit by boiling them. Weight loss: Fat does not grow by taking steamed vegetables. It also balanced the weight. 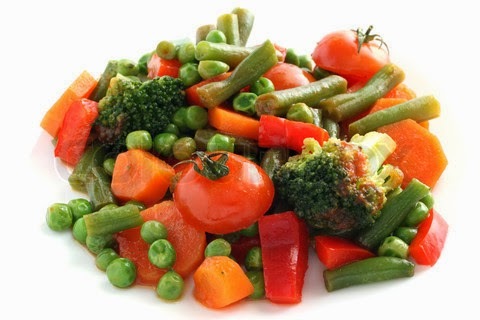 You can freely eat: Boiled vegetables can be consumed easily. It is beneficial in tooth and mouth problem. Different flavor: Did you know that eating boil tomatoes have different flavor. Probably not. You will know every vegetable has different taste when you boiled. Save time: Boiled water does not take too much time and it saves your time. Healthy way: Boiled food is the healthy way of cook which gives nutrition to the body.